(Colorado Springs, CO. Sanctioned & Judged by the US Olympic Committee). 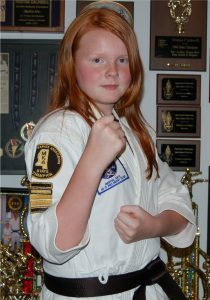 2009 MSG (MS State Games) Female “Martial Artist of the Year”. 5 Time MKA State Champion (Double-Single-Single). 5 Time AAU Champion City, State & Regionals.